This entertaining gadget is an educational science kit that can be made easily at home and all of the parts are included to construct your very own air powered car. The leading car manufacturers around the globe have been looking for an alternative to regular fuels and this environmentally friendly air powered car kit could have the solution. All you need to assist the building process is a hammer, screwdriver, ruler, permanent marker, tissue paper and scissors. Once built, just fill the engine by pumping air into the big bottle/air chamber. 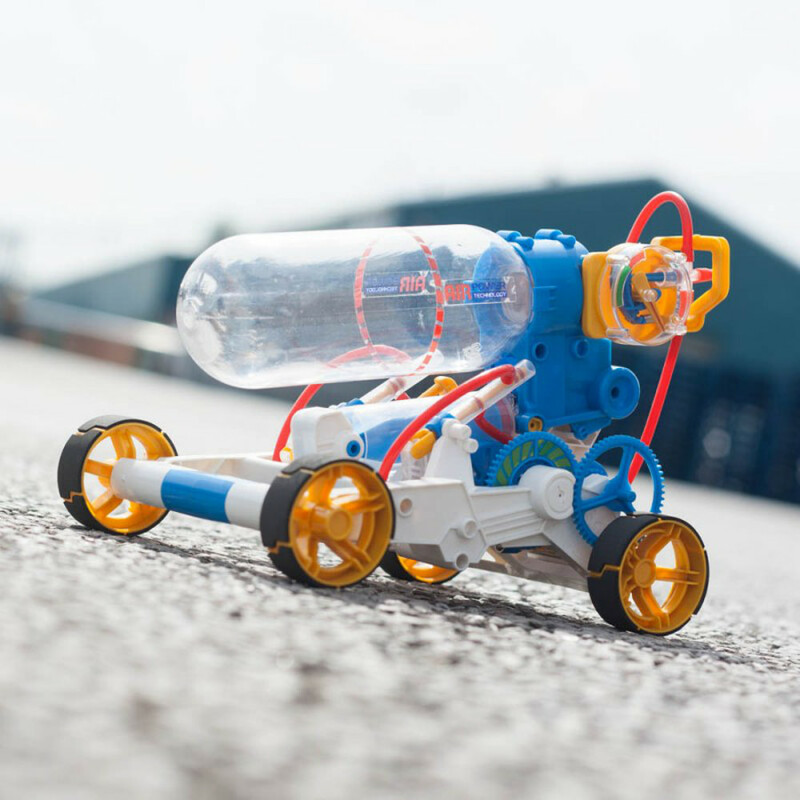 Once full, watch the car race around and reach quick speeds of up to 50 metres in only 35 seconds without the need for motors, batteries, or chargers. 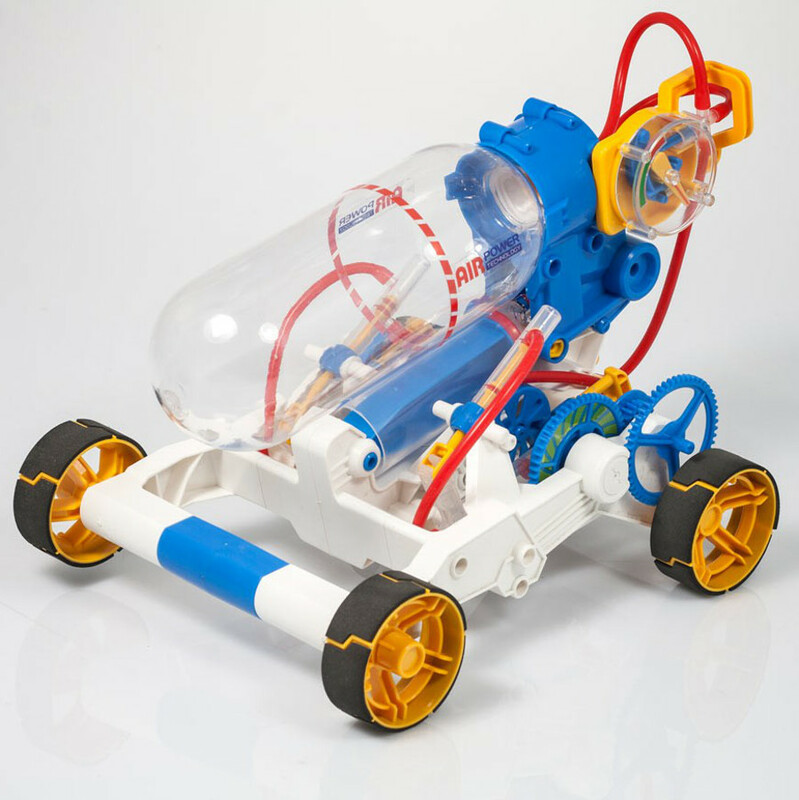 This is a wonderful kit to get your children interested in DIY, science and the environment. Measures approx. 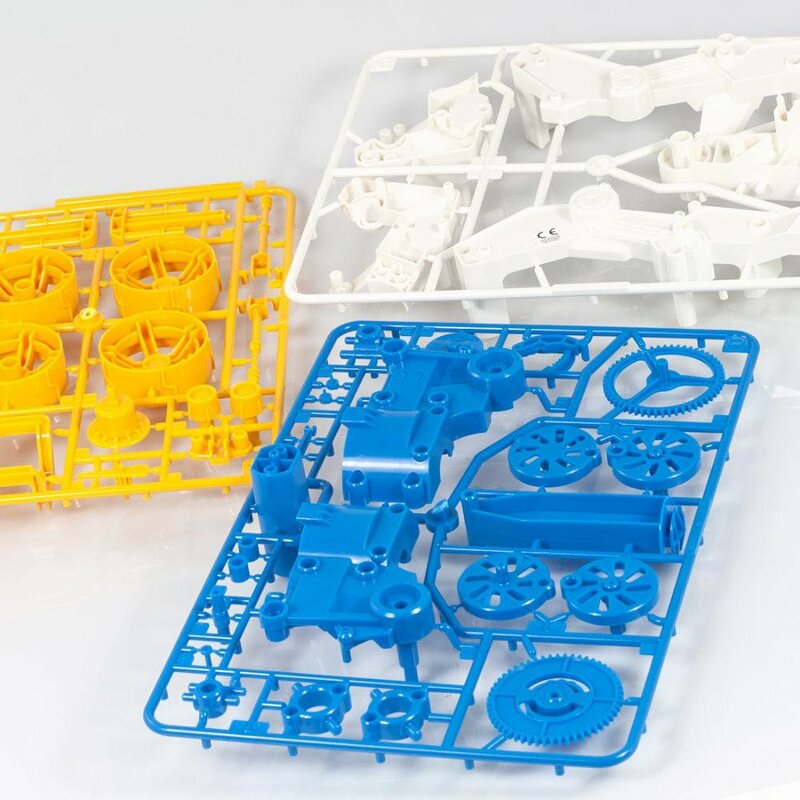 16cm x 23cm x 16cm. Easy to read instructions included. 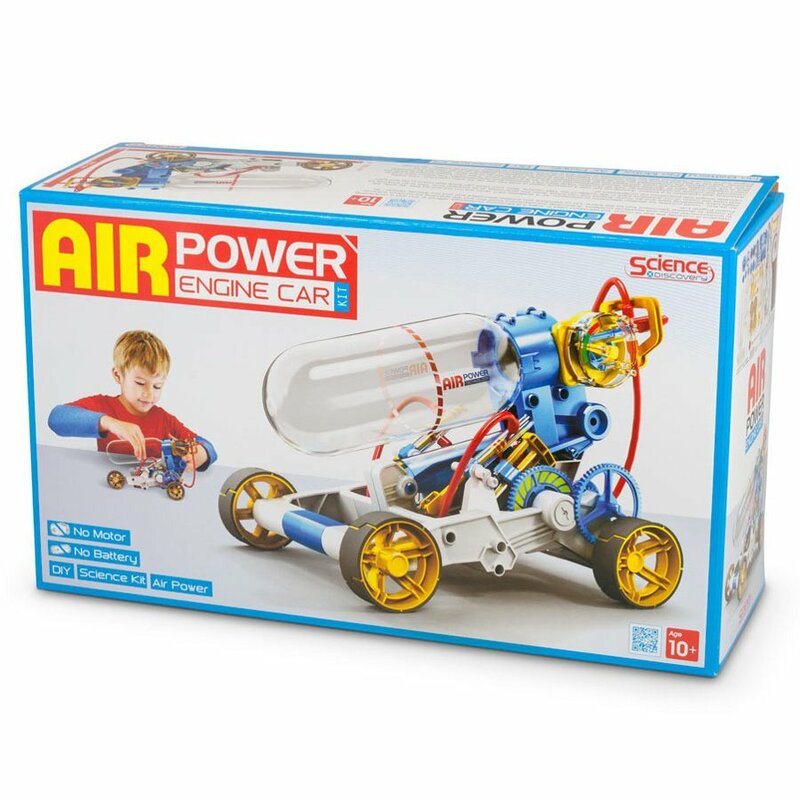 The Air Powered Car Kit product ethics are indicated below. To learn more about these product ethics and to see related products, follow the links below. 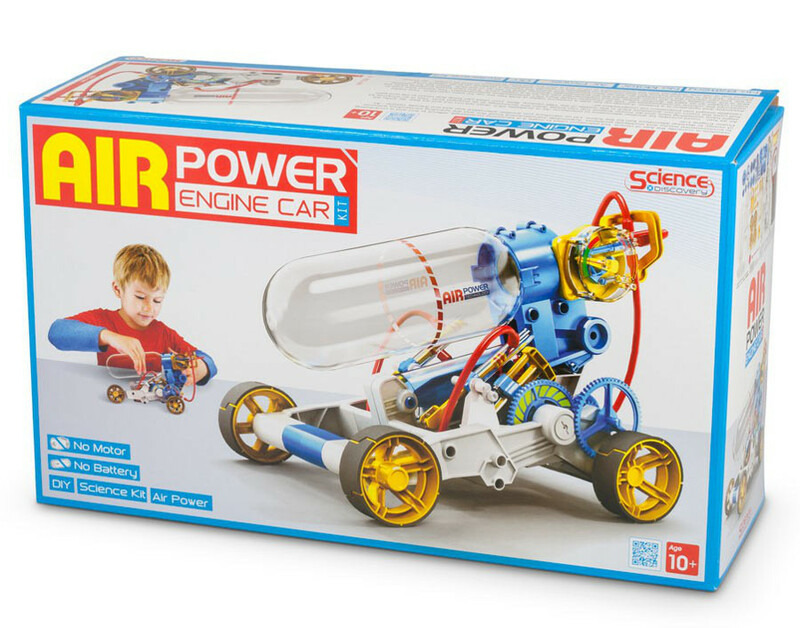 There are currently no questions to display about Air Powered Car Kit.